Handmade to perfection, Ezi Pickups will make your bass stand out in sheer beauty and elegance, while taking your sound to an entirely new level: dynamic, detailed and uncompressed. Realize the full potential of your bass with Ezi Pickups. The porous wooden body of an Ezi Pickup has no effective electrical capacitance and retains no static electricity. 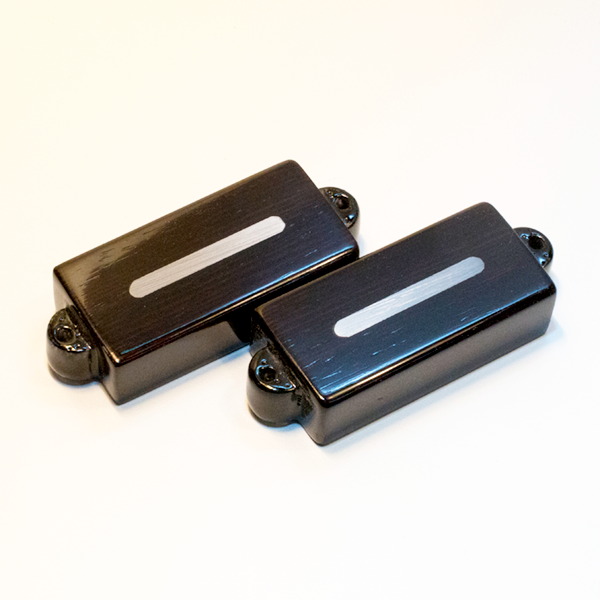 As a result, our pickups suffer from none of the corruption and compression that is created by the plastic components used in standard pickups, even in hand-wound customized pickups. This allows for the full range of the dynamic created between string and bass to be conveyed faithfully by the pickup. Using neodymium magnets and fine copper wire of the highest grade, we embed in our carved wooden frame solid strips of iron, which are far more sensitive to the vibrations of the individual strings than the separate poles commonly used in pickups, yielding optimal sensitivity and results. Moreover, instead of a thick bobbin, the fine copper coil is separated from the iron core by what is literally a paper-thin buffer to produce sound that is dynamic, uncompressed, uncorrupted and which has lost none of its range and distinction along the way. Choose an Ezi Pickup and let your bass stand out in elegance beauty. Choose an Ezi Pickup for unsurpassed quality of sound. Ezi Pickups—Unlocking Potential. Ezi’s beautifully handmade wood-encased Jazz Bass single coil pickups produce a resonating sound that is pure and true. Ezi’s beautifully handmade wood-encased Jazz Bass humbucker pickups produce a resonating sound that is pure and true. Ezi’s beautifully handmade wood-encased Precision Bass humbucking pickups produce a resonating sound that is pure and true. If you want an Ezi Pickup that is slightly off the beaten track in terms of its look, components or dimensions, we would be pleased to receive any specific requests you might have for a custom order. If you’re in pursuit of a different look, Ezi Pickups can create a pickup out of nearly any kind of wood, pending availability and durability, be it oak, ebony, purpleheart, mahogany, flame maple, cherry… you name it. If the wood is available and strong enough, Ezi Pickups can make it for you. A list of commonly available types of wood appears on the custom order page to choose from. When ordering custom-made pickups, you can also specify the electrical resistance you would like in your pickup through underwinding and overwinding. Reduce the electrical resistance for a thinner and brighter tone, or increase the electrical resistance for a more full-bodied sound. Lastly, if you need a pickup that isn’t of standard size or structure, please cite in your query the specific dimensions or design, and we’ll let you know if we can accommodate and how much it will cost.